The purpose of the current study was to examine whether a defendant’s developmental age, chronological age, and race influenced mock jurors’ decision making. Mock jurors (N = 444) read a trial transcript involving an assault where the defendant allegedly shoved the victim to the ground at a grocery store. The defendant’s developmental age (14 or 24 years old), chronological age (14 or 24 years old), and race (White, Black, or Aboriginal-Canadian) were varied. Mock jurors rendered a verdict and rated their perceptions of the defendant. Developmental age was found to influence verdict decisions such that a developmentally 24-year-old was given more guilty verdicts than a developmentally 14-year-old. Race was also influential such that the Black defendant received fewer guilty verdicts than the White defendant; no significant interactions were present. 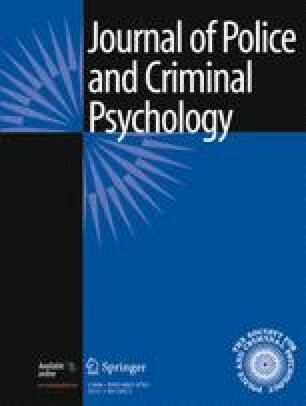 The presence of a developmental delay influenced mock jurors’ guilt ratings such that the defendant who was developmentally delayed received lower guilt ratings compared to a typically developing defendant. These results suggest that defendants with a developmental delay may be perceived more favorably, regardless of their race, and thus given more lenient treatment.